The right thermal paste does wonders to cool your processor and keep your PC running correctly. Thermal paste is most commonly applied between the processor and heat sink. This keeps your temperatures lower and allows your processor to run stressful programs like video games and Adobe Photoshop. The wrong kind of paste can cause issues such as overheating. As such, the best thermal paste for one job may not be the best choice for another job. If your PC has been slowing down rapidly or shutting down unexpectedly, then you may have thermal paste that has worn away. It is important to check your processor, heat sink, and thermal paste especially if you notice higher PC temperatures. Some processors cannot handle past 80 degrees Fahrenheit. There are a few different thermal paste compounds. How much do you need? What works best? Any consideration for different processors? Thermal pastes are not all that complicated. Most differences are in price, performance boost, carbon-based, ceramic, and metal. Most thermal compounds are applied through syringes. It is easier to apply this way. Moreover, there are no metal compounds, which means that it is not electrically conductive. 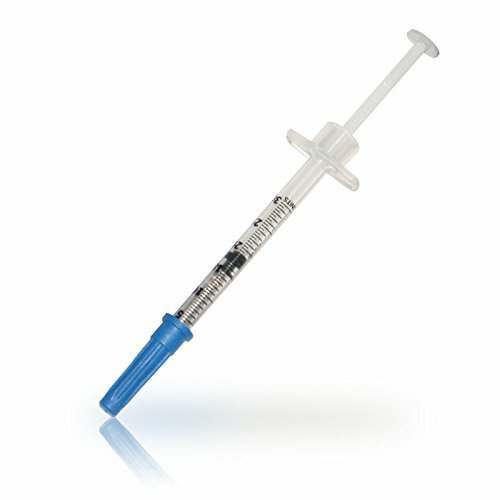 Some syringes also come with a applicator as well so you can spread the paste evenly across the processor. 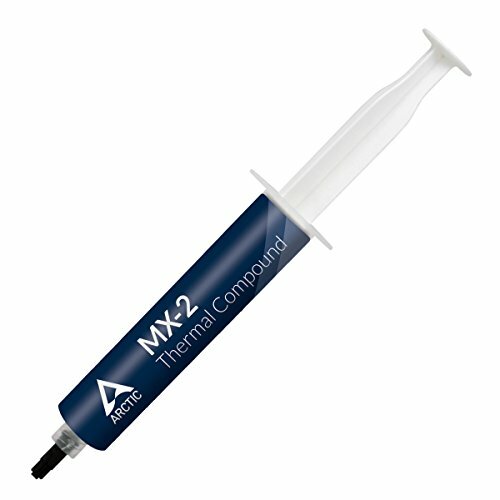 Thermal pastes have different performance levels basted on what type of thermal paste compound you purchase. Most thermale pastes are carbon-based. This means that they do not have any metal and will not be electrically conducive, which can lead to overheating in excess. These are heat conductive compounds that work great at higher temperatures for processors that demand performance. However, these pastes take time to absorb and settle onto the processor. Ceramic compounds keep heat even at CPU loads and is not capacitive. Some ceramic TIMs on the market are made from micronized diamonds. These are abrasive and there is little difference in performance. Basically, it is not worth the cost. Liquid metal compounds are a little bit more difficult to apply but last longer than other compounds. The heatsink has to be cleaned properly with isopropyl alcohol before the paste can be applied correctly. There is a brush applicator that helps you apply the paste evenly across the processor. Some compounds still use silicon, which is considered to be one of the lesser conductive formulas available today. Most compounds that have metal are going to work better at keeping your PC cool. Some thermal pastes are known for keeping the processor cooler and conducting heat better than other competitors. These compounds have better applicators and may have a stronger compound. You may never know when you will need thermal paste to replace and get back that low CPU temperature. As your CPU temperatures get higher, your computer may slow down in performance or even shut down unexpectedly. If your heatsink cannot conduct heat from the processor, then your processor may even burn out over time. Replacing thermal paste is essential for the rest of your computer rig. Lower temperatures will allow you to also overclock your GPU if you want a faster gaming experience. There are several methods for applying thermal pastes, but it really comes down to the quality and value of the thermal paste that you pick. The paste should be spread on the heatsink as you press into the processor. Thermal pastes can come with a brush applicator to make it easier to evenly apply the compound over the heatsink. Our guide focuses on the value and type of compound, as well as what benefits come with each type of thermal paste. 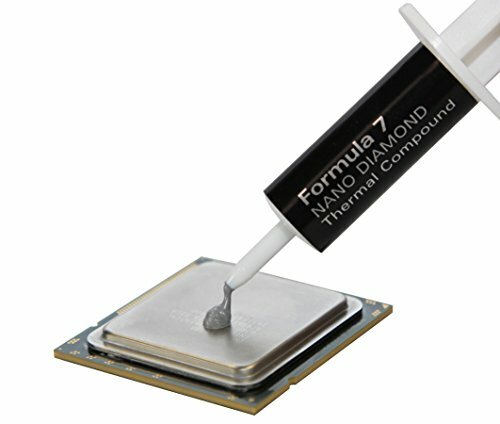 The Antec Nano Diamond Thermal Compound Formal 7 is the latest product from a traditional thermal paste brand. This compound includes diamond particles that measure 0.0000015 cm, which are rated at 8.3 w/mk. The Antec Compound can also extend -50C to 250C stable temperature range ideal for any CPU. While most compounds can dry out after a few years, this compound has a history of durability. You only need a pea size drop of the compound to spread, so you can use for multiple CPUs at once with one syringe. Customers really like this compound and says that it does affect the performance of their pc, lowering PC temperatures significantly. The Arctic Oraco thermal paste compound is better than liquid metal. This thermal paste has carbon micro-particles, which have extremely high thermal conductive properties. The MX-4 formula is metal-free and comprises non-electrical conductive properties with carbon-based compound. There are differences between this compound and metal or silicone compounds. This formula promises to last the test of time. Once applied, Arctic Oraco will last for 8 years. The MX-4 is very easy to apply and use for any beginner as well. You can apply it evenly using the applicator. 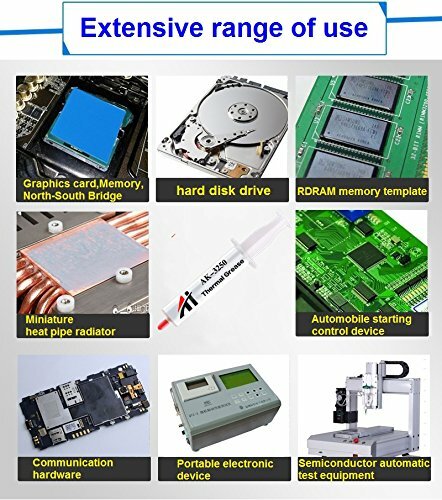 This thermal compound has extremely high thermal conductivity and guarantees that heat generated from the CPU or GPU to dissipate effectively. 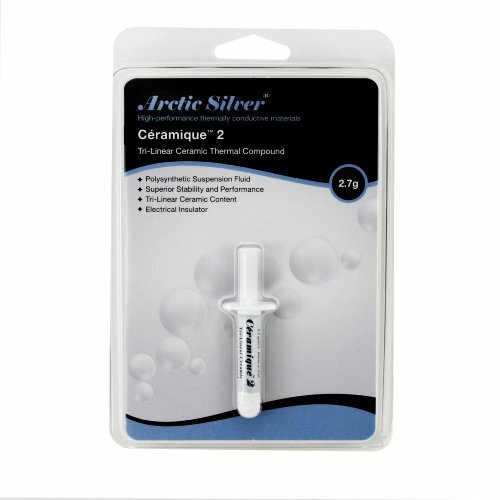 Arctic Silver 5 AS5 is a thermal conductive paste that is very popular with PC enthusiasts. Arctic Silver is made from 99.9% micronized silver. The best part about this compound is that it is a non-electric conductive compound, which means that you avoid extra heat getting through to the processor and heatsink. Arctic is applied through a syringe. You can place a pea size amount, and Arctic guarantees that it will not run, separate, migrate, or bleed after application. In addition, there is a lot of value with this thermal paste due to the low cost. This compound keeps your system very cool. You should be careful to read the instructions to apply just the amount of thermal paste that you will need to cover your heatsink and processor correctly. Arctic has several different thermal paste products. The Arctic MX-2 offers excellent performance and is comprised of carbon micro particles. This allows for amazing thermal conductivity from the processor to heatsink, keeping your CPU or GPU temperatures low. Larger tubes are great for business uses if you have multiple computers or need thermal paste for different applications. The large tube will not expire after a few years. You can store to keep around and make sure that temperatures remain low. Users report that it lowers CPU temperatures significantly even at full load. It is best when applied evenly. When you purchase, you should pick the right size. The bulk sizes are best for a large computer network. 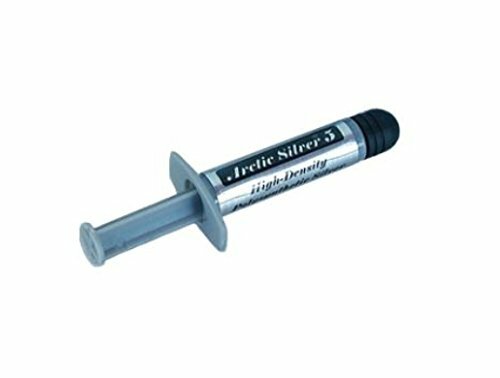 You can easily apply this thermal paste to all kinds of applications for your computer. You only need a small drop, and then you can save the rest to replace thermal paste when you want to cool down your CPU temperatures in the future. 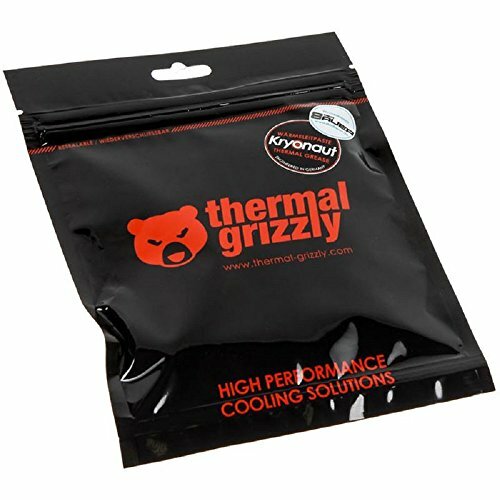 Thermal Grizzly has a thermal conductivity of 12.5 W/mk and works best for overclock GPUs and extreme gamers who want a high quality thermal paste. Gamers report this thermal paste has better cooling properties than other thermal pastes, even if the cost is a little high. 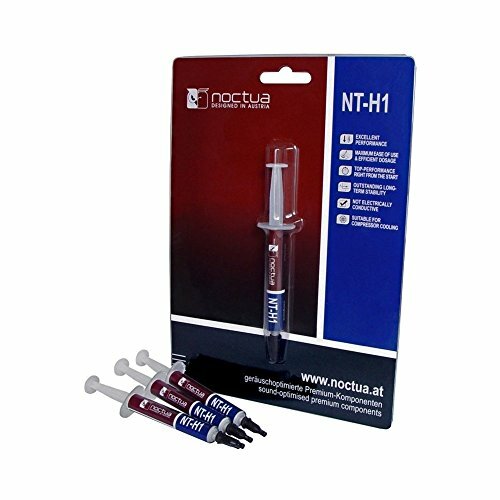 Noctua NT,H1 is a thermal paste with a spec. volume of 1.4 ml and lasts for up to 15 applications. This formula is a little bit unique from other thermal compounds as it is a hybrid. This compound includes micro-particles that allow for minimum thermal resistance, easy application, and long-term stability. The components include ZnO or Zinc Oxide and a mix of metals, which Noctura does not disclosure. You can use this for CPUs and gaming consoles. You can use this paste for up to 3 years. The thermal paste allows you to keep operating temperatures between -40 degrees Celsius to 90 degrees Celsius. Noctua states that you can store this thermal paste and use multiple times whenever you need to replace thermal paste. Coollaboratory is one of the most highly reviewed thermal pastes on the market. This brand is made from 100% metal and provides a serious drop in temperatures. This brand optimizes for highest performance and usability over time. You only need a small amount applied to the heatsink, so you can continuously use this compound over the yeras. Liquid Ultra is not exactly a sticky form, so you need to be careful when applying and only use a small amount to start. You may need to use the applicator to spread evenly across the heatsink before pressing to the processor. This all-metal compound is safe to use with most heatsinks including copper-core styles. 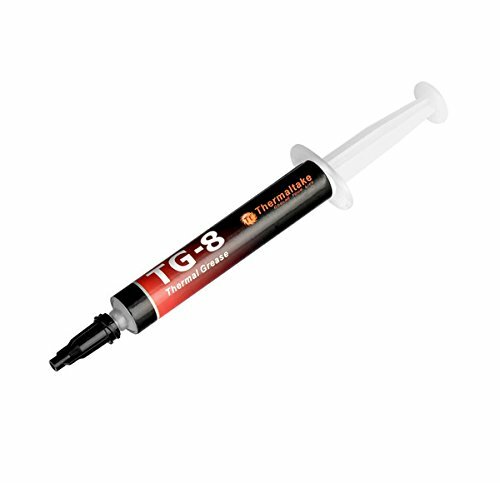 This thermal compound is a premium high density paste that uses ceramic compounds to cool down your CPU temperatures. Arctic has created the formula from an oil mixture that providers improved thermal conductivity and increased particle deagglomeration. Basically, this means that your thermal compound will not run, separate, bleed, or migrate after application. Arctic Silver also guarantees that your CPU should fall 2 to 10 degrees Celsius that the full load core temperatures. The Arctic Silver has a wider nozzle so you may to be careful as you apply for the first time. 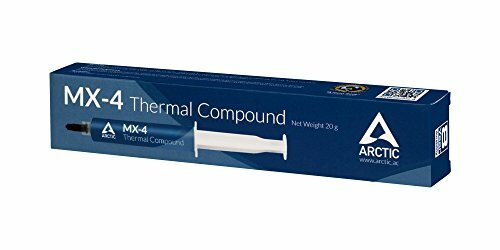 Arctic creates another thermal compound that offers a great value for the price. Thermaltake is a well known brand amongst PC gamers. This is because the thermal compound has a high thermal conductivity. This compound offers extreme performance and a longer lifespan over other silicon-based compounds. Diamond powder is also included for improved thermal conductivity. It is also easy to apply and comes with a one-year warranty in case of any issues. You can use this amount for multiple CPUs or store to keep using over multiple years. Aikuenuo offers a new thermal grease compound that is silicon-based. As heat dissipates, thermal conductivity increases. This formula includes organic silicon as the main ingredient. This adds more heat-resistance. This thermal grease has electrical insulation, high performance, superior resistance to high temperatures, and a great cooling capacity. You can purchase in 5 gram, 20 gram, or 30 gram increments. Gaming PCs use this high-quality compound for high-power LED, CPU, and IGPT modules. Thermal compounds are similar in formulas but some have more cooling properties than others. There are also thermal grease formulas that last longer than others so that you do not have to constantly replace the thermal paste on your heatsink. 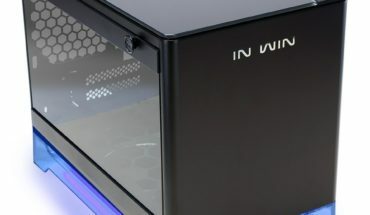 Arctic Silver brands offer an incredible product for the cost, creating high value for anyone who wants to keep their CPU as cool as possible. The differences between metal, carbon-based, ceramic, and silicon are only slight. However, some brands do promise a higher capacity to conduct heat and keep CPUs cool. Gamers have their own brands that they choose to go with as well, which makes Thermaltake another great option. You should pick a thermal paste that has the right compound for CPU, GPU, or gaming console.